The Riddle Pendant elegantly reinvents the form, finish and functionality of industrial design. 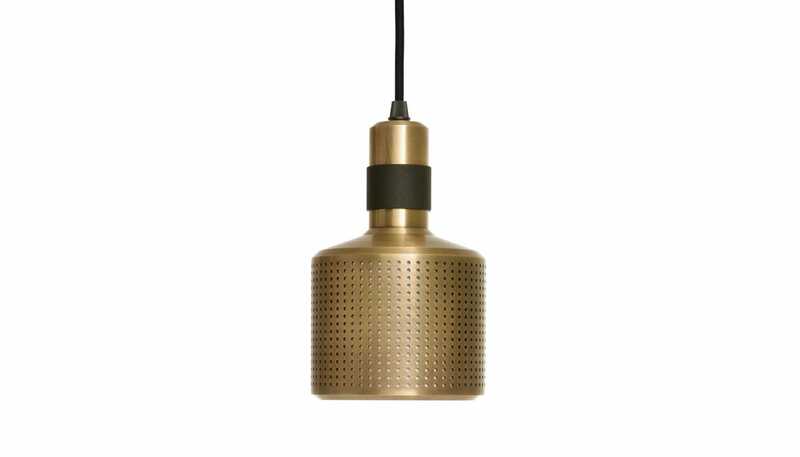 Crafted in Birmingham from machined brass, the perforated metal shade is lined with a thin layer of fabric that together create warm diffusions of light. A matte black band, fabric cord and matching ceiling rose complete the industrial look, which is available in a range of finishes.